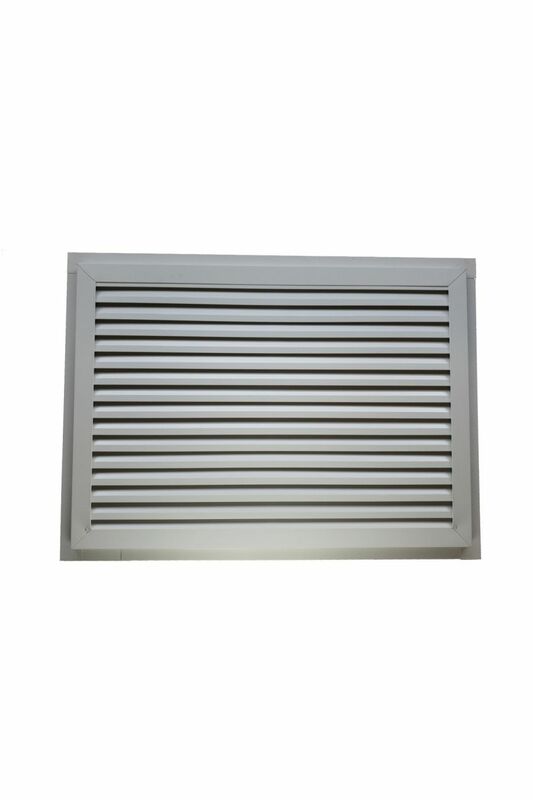 Rectangle Louver - 42" x 30"
Maintenance Free! Our Custom Louvers are made with a wood frame and clad with Aluminum so you never have to paint Louver is made in .019 Aluminum with a smooth baked enamel finish in White. The louver ships with 1 1/2" nail fins attached for installation. Size with fins is 45" x 33" 9x9 vent mesh-charcoal colored 1" Depth Quantity Available: 8 Price does not includes shipping costs. All items sold as-is. Louvers are scratch and dent items that have minor imperfections. These minor imperfections will not affect installation and shouldn't be visible once installed.